So you're a self-published author. Now what? Canadians are self-publishing books in droves, despite little guarantee of financial reward or recognition. How are these new authors defining success? “I’ve never been so confused in my life as when I first attended the birthday party of a Dutch friend,” says Colleen Geske on her blog Stuff Dutch People Like. Why did people at the party keep congratulating her, she wondered. She came to realize, she writes, that at Dutch birthday parties it is customary “to make your rounds through the crowd and congratulate everyone who is close to the person’s whose birthday it is! !” Geske, a Winnipegger who moved to Amsterdam almost 10 years ago for her partner’s work, started blogging about Dutch culture in 2010. After about six months of chronicling customs and quirks, Stuff Dutch People Like had received approximately 1,000 comments, Geske says. Many came from Dutch readers, who were discussing her posts and sending in ideas. “I was able to find a balance of poking fun and tongue in cheek that wasn’t offensive,” Geske says. The blog also caught the attention of a reporter for a Dutch newspaper, who “made it her quest” to identify the anonymous Canadian expat behind it. Geske came around to the idea of going public in the article, because she wanted to take her blog further. 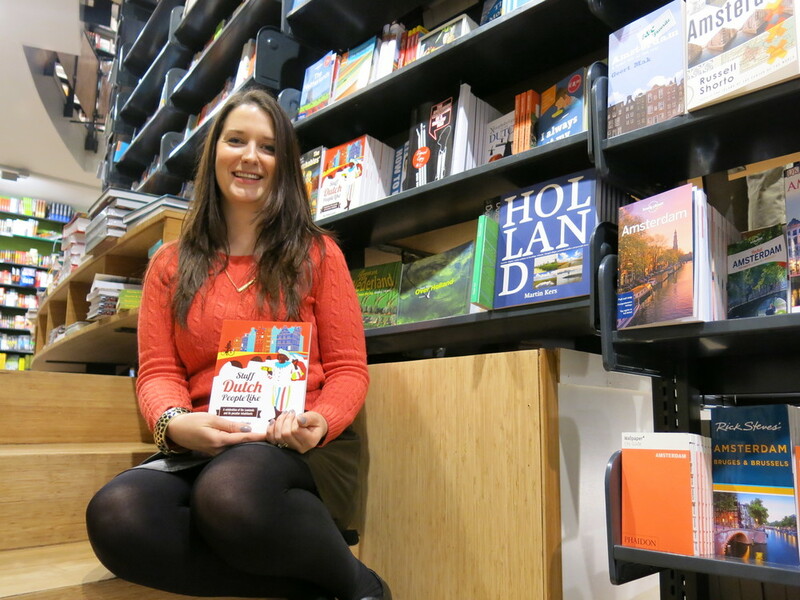 After investing in editing, design and printing costs, Geske launched the Stuff Dutch People Like book in November 2013. Within a month and a half, 5,000 copies sold and she’s now well into selling her second print run. She and her husband were “flabbergasted” and unprepared for the grunt work of packaging and mailing the books, which are being sold through her website and at a few book stores. But her husband, an entrepreneur, happened to be between projects and spent two months working as the book’s distributor. There was more in store: three Dutch publishing companies contacted Geske. On Jan. 31, Geske announced to her Facebook community of almost 100,000 people that she had struck a deal for the book to be published in Dutch. Where does self-publishing route take authors? Geske is one of hundreds of thousands of Canadians who are self-publishing. Statistics on the number of self-published books from Canada are not available, but experts say U.S. figures are indicative of the trend. Almost 392,000 self-published print and eBooks came out in 2012, according to Bowker Books in Print, the International Standard Book Number agency for the U.S. But not all self-publishing platforms require ISBN numbers, so the total number of self-published books is higher. There are “tens of thousands” of authors and publishers from Canada using Amazon’s Kindle Direct Publishing platform, which doesn’t require ISBN numbers, according to a representative from Amazon. Geske, unlike many self-published authors, has succeeded in selling a significant number of books and securing a traditional book deal, but says she still wouldn’t bank on writing as a full-time career – which is understandable. A U.S. survey of almost 5,000 authors clarifies the financial reality: the 2013 Digital Book World and Writer’s Digest Author Survey reveals that median annual income for self-published authors ranges from 0 to $4,999, and from $5,000 to $9,999 for traditionally published authors. Despite the fact that many self-publishing platforms promise higher royalties than traditional publishers – Amazon's Kindle Direct eBook platform offers up to 70 per cent, for example – indie authors have up-front expenses to consider. So why are so many unknown writers navigating a labyrinth of platforms, costs and options to launch a book into an ocean of other unknown self-published books? How are these self-published authors defining and achieving success? As the co-founder of a communications company by day, Geske perhaps took more of an entrepreneurial approach than many. She references American marketing guru Seth Godin, who advises authors to start marketing their book three years before they want to publish. As a blogger, Geske was doing just that. “Self-publishing this way was kind of the reverse model (of traditional publishing),” Geske says, “where it wasn’t writing a book and then looking for an audience, it was finding an audience, finding out what they really wanted, and writing for that audience that you already had.” She says she also looked at the book as a product and wanted it to succeed – at the very least, not to lose money. Kate Hilton self-published her book The Hole in the Middle, then landed a book deal with HarperCollins. Photo courtesy of Kate Hilton. But before launching the eBook, Hilton spent several months building networks on LinkedIn and Facebook, and using a blog and Twitter to showcase her writing style. “I tried to be very conscious of creating a consistent brand on all of those platforms.” Along the way, she invested in hiring a website designer, book editor, cover designer and someone to research self-publishing platforms. After she published the eBook, Hilton says it was downloaded more than 13,000 times in one month. One of the people in Hilton’s network happens to be the daughter of best-selling author Roberta Rich; Rich passed Hilton’s book on to her agent, and a deal with HarperCollins quickly followed. By self-publishing, writers can get their book in front of readers. Like traditionally published books, self-published books are “sitting on shelves waiting to be discovered,” Lefebvre says. Increasingly, those shelves are virtual: 40 per cent of the self-published books that came out in 2012 were eBooks, according Bowker Books in Print. The number of eBooks increased 77 per cent from 2011 to 2012. For some self-publishers, the motivating factor is a personal experience or social cause. Trena White, principal at Page Two: Strategic Consulting, a Vancouver firm that works with self-publishing and traditional authors, says one of their clients wants to share his story of addiction recovery and “contribute to the conversation” on that topic. Page Two works with non-fiction authors who tend to have some level of platform, profile or recognition, White says. They might have marketing goals, like reaching a specific demographic with their book, or hope that it will lead to lucrative speaking engagements. There are also novices who want to leave a story for friends and family. Prior to the rise of self-publishing, Lefebvre says, it might have cost $5,000 to print 1,000 copies of a book that would sit in the author’s basement. Now, the story can be published for free as an eBook, or printed on demand as needed. For authors hoping to make a name for themselves and generate sales, the self-publishing world has become difficult to navigate. “We think it’s a bit of a Wild West right now,” White says. There are dozens of self-publishing platforms, each with their own pricing, service, payment and distribution configurations. The practice of self-publishing goes back centuries, but has exploded in the past few years. Click the image for an interactive timeline of self-publishing. Page Two aims to help self-publishing authors assess which platform best suits their needs in terms of issues like functionality and distribution channels. While Amazon is the big name in self-publishing, for example, White says Kobo has better distribution in Canada. Page Two charges $150 per hour for consulting, and works out deals with authors who want longer-term guidance. Aside from the option of consulting, authors have other expenses to consider. White estimates it could cost $7,000 to $10,000 for professional, multi-level editing and book design. Lefebvre says that while he recommends self-publishing authors invest in editing and design help, there are service providers that prey on writers. He recommends Preditors and Editors and Writer Beware to help distinguish the good from the bad. Considering the potential up-front expenses, writers might wonder whether the grass is greener on the traditional publishing side, where editing and production costs are covered, the author might receive a modest advance and somewhere around 10 per cent in royalties. Is a self-publishing the new route to traditional publishing? So, perhaps winning the recognition of a traditional publisher is the next best thing? Lefebvre says agents and publishers are watching self-publishing bestseller lists for authors to sign. “Not a week goes by that we don’t hear from an author who was doing really, really well self-publishing and got contacted by a traditional publisher,” Lefebvre says. For Geske, getting email comments like “Now I understand why so-and-so who is Dutch does that” is one of her biggest rewards.